According to the Pakistani Prime Minister, the Pakistan-China alliance is higher than the mountains and deeper than the seas. See Stratfor article. I guess he is referring to the 46 billion dollar China-Pakistan Economic Corridor, which is promoted by China (New Silk Roads). Actually the two countries have been allies for decades, and they jointly fought the Soviets in Afghanistan, and also their common rival India. As you can read at the following Stratfor article, the construction of this economic corridor faces various problems, and one of them is that is heavily based on the western Pakistani province of Balochistan. The Baloch people are a Sunni Muslim tribe, and 7 out of 9 million of them live in Pakistan. Pakistan was a part of India, and when it was separated from India it became one country, in order for the Muslims of India to have power. But now the Baloch people believe they are not equally treated by the other Muslim tribes of Pakistan, and they claim that religion should not be placed before national characteristics, and many of them ask for a country of their own. 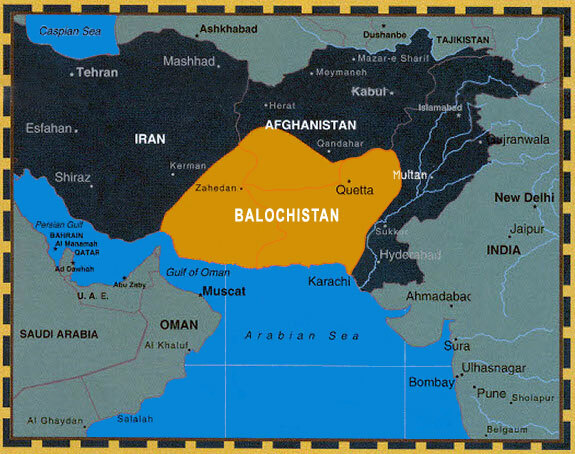 At the following map, from a Balochist site, you can see a map of a Balochistan, as it is envisioned by the Baloch people. 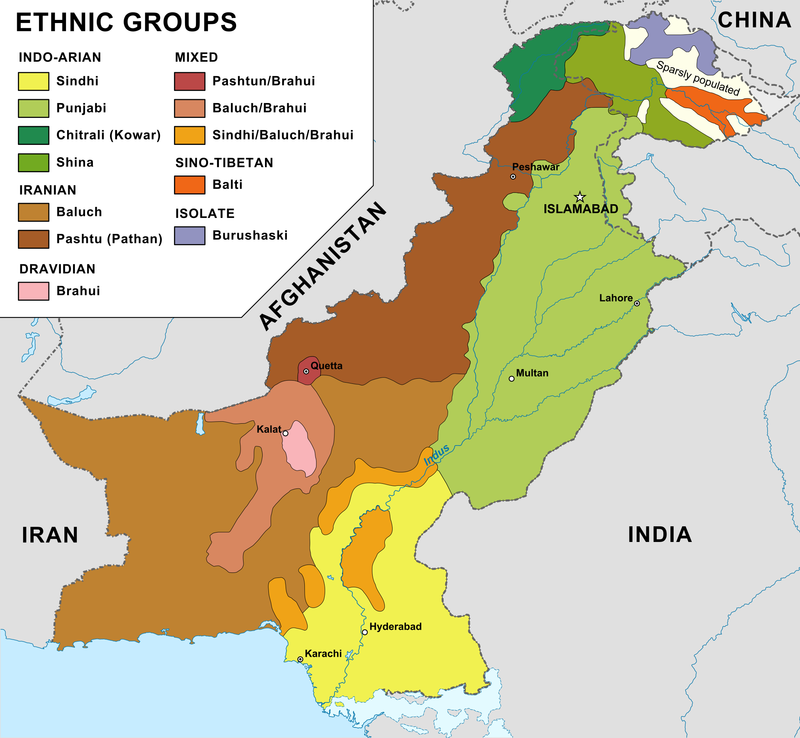 The Baloch people have been traditionally living in what is today Pakistan, Iran and Afghanistan, and the map includes some parts of all these three countries. The Pakistani port of Gwadar is located at Balochistan, and China is supposed to use the port for commercial purposes, but also as a naval base, in order to become a two Ocean power and encircle India. For India, the China-Pakistan Economic and Military corridor is a real headache, because it will undo India’s geographic advantage over China for the trade with Europe and Africa, and it will give China the chance to encircle India. That’s why India is supporting the aspirations of the Baloch people in Pakistan, in the same way she is supporting the Tibetan people in China. India also has a motive to become an American ally, since India cannot expect much help from her traditional ally Russia, because Russia and China have formed an alliance against the United States. The United States are facing China in the South China Sea, because China wants to make it a Chinese lake, and a huge part of the world trade passes through the Malacca Straits and the South China Sea. As you can read at the following Huffington Post article, in March 2016, the Pakistanis arrested in Balochistan an ex officer of the Indian Navy, and they claim that he was there to help the Baloch people find arms. India denied the accusations, even though she admitted that the man was indeed an ex Indian officer. But what the Pakistanis say sounds plausible. See Huffington Post “Tensions Mount Between India and Pakistan Over Balochistan”, March 2016. In the same Huffington Post article you will read that Pakistan asked for Iran’s cooperation on the Iranian-Pakistani borders, in order to take care of the Baloch issue, since both countries have Baloch populations at their borders. But Iran did not agree to cooperate with Pakistan on the Baloch issue, even though the Iranians treat their Baloch population much worst than the Pakistanis treat theirs, as you can read at the article. The reason Iran does not want to cooperate with Pakistan against the Baloch people of Pakistan is that it Iran does not want to alienate India, and that could happen if the Iranians and the Pakistanis start coopering against the Baloch people of Pakistan. India is the second largest importer of Iranian oil, second only to China, and Iran cannot afford to lose India to the Arabs. Moreover the Indians have included Iran in the Indian Silk Roads i.e. the North South Transport Corridor. The North South Transport Corridor will connect Bombay (India) with Chabahar (Iran), and from there the Indian merchandizes will reach Europe through Azerbaijan and Russia. The Iranians and the Indians are also promoting the Iran-Oman-India natural gas pipeline, which will bypass Pakistan, one of India’s greatest rivals. The Iranians obviously would be very happy to see that the issue of the Baloch people is “settled”, but India is a great customer and they do not want to upset India by getting involved in the Pakistani-Indian rivalry. After all Iran and Pakistan now have some common economic interests, but in the past they have been bitter rivals, because Pakistan was a major Arab ally. Now the Pakistanis are trying to become somewhat neutral in the Iranian-Saudi rivalry, because they have significant economic interests with both the Arabs and the Iranians. I said that the Indians are trying to cause problems in Iran and China, and I have to say that the Iranians and the Chinese are doing the same thing, and they have supported many terrorist attacks against India. Pakistan is the specialist when it comes to terroism, and Pakistan can use the 180 million Muslim people of India to that end. Pakistan has great influence in Islamic terrorism. The India-US alliance has alienated Pakistan and United States. The United States have already accused the Pakistanis for carrying out attacks against CIA agents. See “Declassified U.S. document suggests Pakistani link to attack on CIA agents”, April 2016. The United States are also thinking to cancel the annual military aid they offer to Pakistan, which is approximately 1 billion dollars per year. The Pakistanis are threatening the United States they will buy Russian or Chinese aircrafts instead of American ones. I guess they also mean they will support more terrorist attacks against the United States if the Americans stop giving them the 1 billion dollars each year. See Financial Times “Pakistan threatens to buy Russian or Chinese jets in spat with US”, May 2016. For the American military aid see the following map. Also note that Osama bin Laden, the number 1 man of Al Qaeda, was hiding at Pakistan when the US navy seals killed him. After the bin Laden assassination Pakistan imprisoned a Pakistani doctor who supposedly helped the Americans trace bin Laden. See Financial Times “Bin Laden case doctor linked to militant”, May 2012. Moreover, the CIA head in Pakistan, was poisoned after his success with bin Laden, and he had to urgently quit Pakistan. According to the Americans it was the Pakistani secret services that poisoned him. See Washington Post “After presiding over bin Laden raid, CIA chief in Pakistan came home suspecting he was poisoned by ISI”, May 2016. On March 24th, the Pakistani security officials, backed by the civilian authorities, said they had arrested an Indian national somewhere in Balochistan and now they describe it as the “evidence” of Indian involvement in the restive province. The Indian Ministry of External Affairs has also confirmed that Mr. Kulbhushan yadhav, a former Navy officer, has been arrested. While Islamabad says Mr. Yadhav worked for the Indian intelligence agency, the Research and Analysis Wing (RAW), on a high position, New Delhi has denied his affiliation with its premier intelligence agency. Τhe circumstances surrounding the arrest of the Indian national are still elusive. Nobody knows how and where he was arrested and who arrested him. Likewise, the Pakistanis have leveled all kinds of allegations on him soon after the news about his arrest broke out. They say he was involved in providing training and weapons to the Baloch insurgents and engaged in promoting unrest in Karachi. One wonders how much time it took the Pakistani officials to extract so much information from Mr. Yadhav when they are saying that he has been moved to Islamabad for further investigation. Regardless the authenticity of the Pakistani charges, the arrest of Mr. Yadhav will significantly help Islamabad in embarrassing India and discrediting the Baloch nationalists for what they bill as a homegrown liberation movement. For the past several years, Pakistan has been accusing India of interfering in Balochistan, but it never brought in public any evidence to substantiate its claims. The alleged Indian involvement in Balochistan has become an integral part of the talking points the Pakistani officials use whenever they meet with the Indian officials. The meeting between former prime ministers Manmohan Singh and his Pakistani counterpart Yousuf Raza Gilani at Sharm-el-Sheikh in Egypt in 2009 was the first occasion when Balochistan was mentioned at a high level. Afterward, the Pakistani officials also provided dossiers to the United Nations — which were not made public — in October 2015 to prove the Indian hand in fomenting trouble inside Pakistan. The Indians, on the other hand, say they have no interest in destabilizing Pakistan. The Balochs are very badly mistreated and oppressed by the Pakistani government, and from what I’ve heard (from someone who lives in Quetta, no less), is that they are not at all fond of China’s presence in their territories; in fact, many Chinese workers were even attacked by Balochs who saw them as exploiting their natural resources. That being said, Iran has also treated the Balochs poorly as well. Is the Reconciliation Between Turkey and Israel Viable? Towards an Alliance Between Russia and ISIS? Iran and Turkey : A Return to “Kemalism”? Can the E.U. Approve the TAP Pipeline? Global Gas Markets Heading Towards a Price War? Can China Afford to Finish the War in the Middle East?